The primary objective of Master of Science in Biochemistry is to provide the necessary preparation for biochemical careers and to expose students to knowledge that deals with the chemistry of living organisms and their biological processes, chemical combinations and reactions. 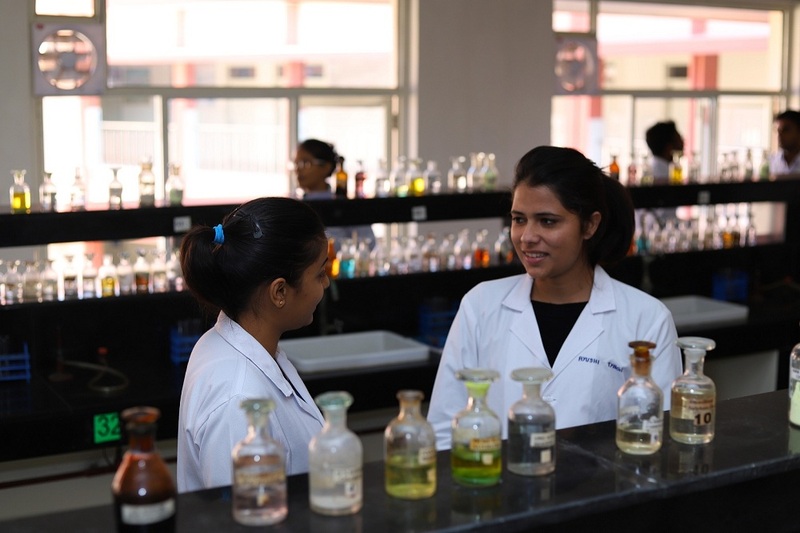 Students will get an exposure to advanced instrumentation & techniques in the state-of-art modern labs of the University. Seminars, workshops, expert lectures and summer trainings are a regular feature, also, students are encouraged to undertake six months research oriented project under the supervision of a faculty. The student can benefit from specialization in Medical Biochemistry & Cancer Biology, Plant & Food Biochemistry, or Biotechnology. Students will be able to carry out tests on blood, research the causes of diseases and their etiology, improve the quantity of crops, create biological detergents and dyes for the textiles industry, improve animal feed, produce medicines using techniques like cell culture, and genetic modification. The department has a strong faculty base,from premier institutions of the country, with varied expertise in the area of Fermentation Technology & Bioprocess Engineering, Environmental Biotechnology, Plant Biotechnology, Animal Biotechnology, and Cancer Biology. Biochemists can think of working in areas such as medical, agriculture, public health care, forensic environment etc. They can find placements in companies dealing in Medical Instrument, Biotechnology, FMCG, Research, Chemical manufacturing, Health and Beauty Care, etc. Also they are much in demand in areas of quality control & safety, Agriculture & Fisheries, Diagnostics Research & Development. Students can find jobs as Scientist in Research Institutes, Research Scientist/ Quality Control Officer/Production Executive, etc.